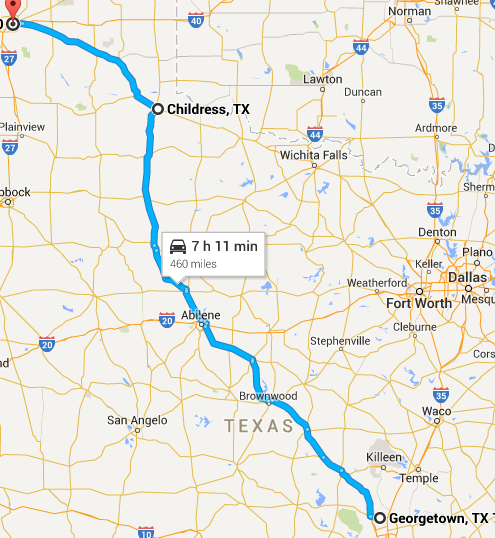 Today is day 4 of our Trail of Tears and Palo Duro Canyon Motorcycle Ride. 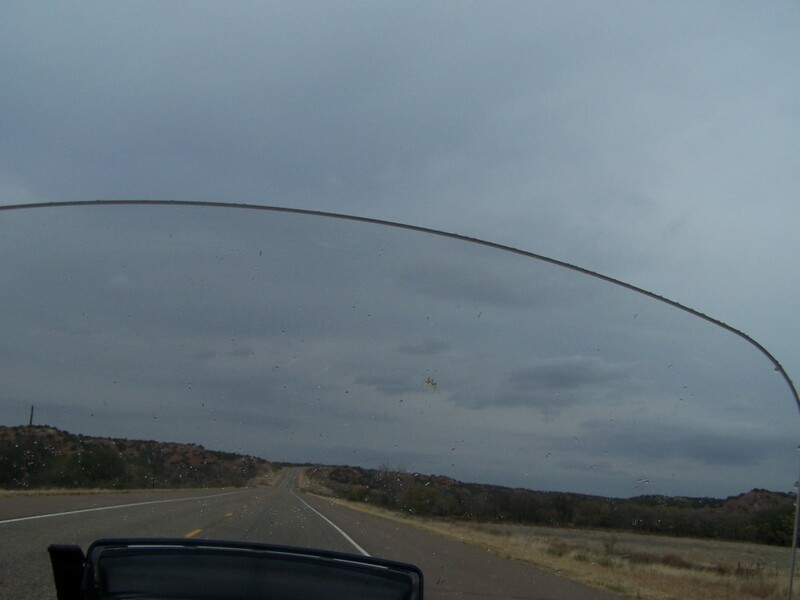 With the “Trail of Tears” motorcycle ride behind us we headed to the “Palo Duro Canyon”. Larry and Shirley and Gary are riding with us. 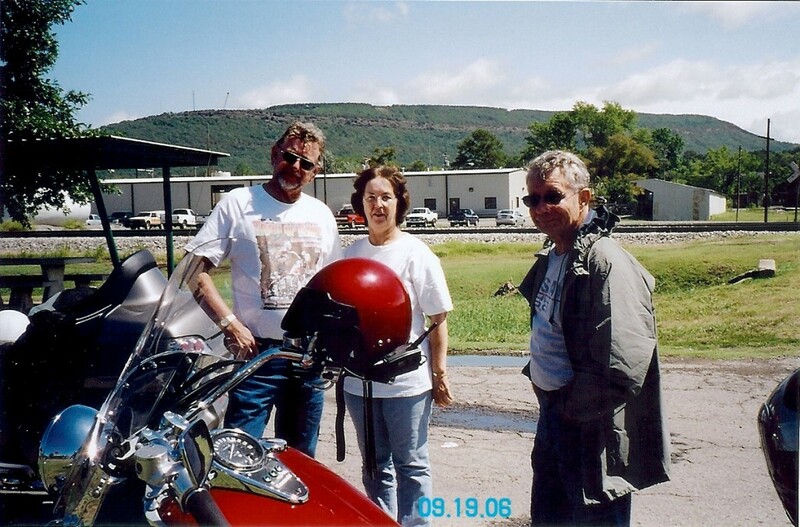 Larry and Shirley are longtime friends we have been riding with for years. Gary is a friend we have hooked up with many times at the “Trail of Tears” ride. Gary is from Windsor, Canada just across the Detroit River from Detroit, Michigan. Gary has always been great fun to ride with and he has a goofy sense of humor that is a good fit to our group. Gary retired from Chrysler some years ago. He didn’t have any hobbies to occupy his retirement time. Some friends suggested he buy a motorcycle and ride with them. Well, to make a long story short, Gary bought a Honda Goldwing and has been running the wheels off it. We are glad he did because we would have never met. 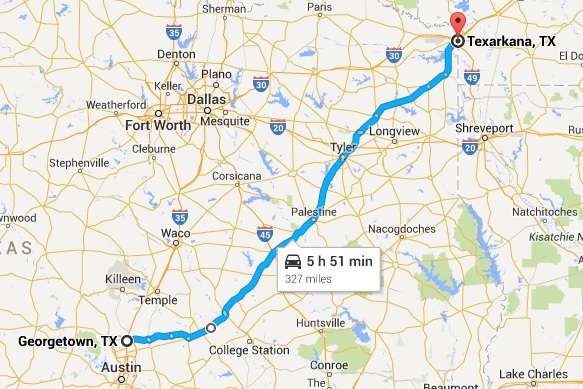 Today we ride 363 miles to Canyon, Texas. Most of the ride was down I-40 which was part of the old Route 66 highway. 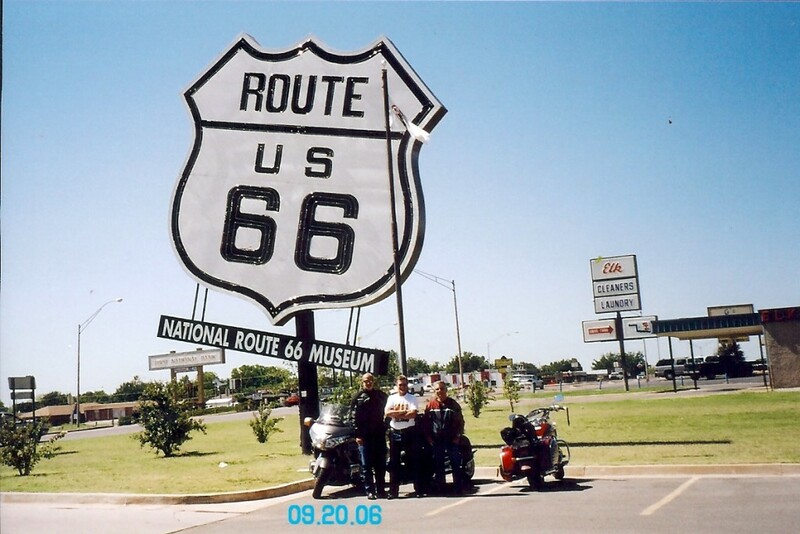 We stopped at Elk City, OK to eat and we spent a couple of hours at the National Route 66 museum there. Route 66 the “Mother Road” stretches from Illinois all the way to California. The museum tries to give a feel for the experience of traveling down Route 66 with displays of roadside attractions that lured travelers to stop and spend their money. The museum is part of the Old Town Museum Complex that gives you a look into the lives of early settlers in Oklahoma, as well as Oklahoma’s agricultural heritage. They were great museums and we look forward to coming back again. It was a long ride today. We got to Canyon around 6:00 pm. After checking into the motel we ate at Big Earl’s BBQ. It was good but it was not owned by a guy named Earl and he was my size!! (i.e. NOT BIG…) The BBQ was good and a good way to end the day. You may want to check out the other days of our ride by clicking on the links below. Today is the 3rd day of our Trail of Tears and Palo Duro Canyon Motorcycle Ride and the last leg of the “Trail of Tears” ride. View of all the riders coming off the mountain. Today was over cast with misting rain and by the time we left it was raining lightly and was in the lower 60’s. For the first 110 mile it was overcast and rained on and off from time to time. I was afraid Janet would hate riding in the rain but she said it wasn’t as bad as she had thought it would be. This was her first time to ride in the rain. The ride stopped in Heavener, Oklahoma for gas and lunch. 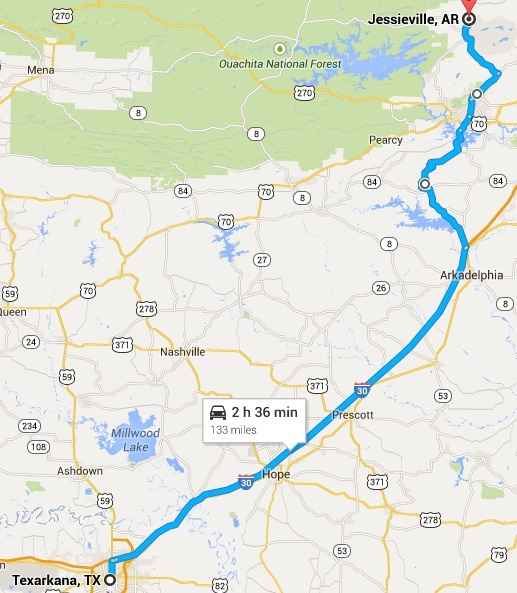 Since we have ridden the ride before we knew to peel off from the group and gas up at the first gas station in Heavener. The ride always gases up at one station further in town and with 250 plus bikes trying to gas up it is time-consuming and nerve-racking. After gassing up we rode to a roadside park just across from the station where everyone else gassed up. We got a bite to eat and waited for the rest of the riders to get gassed up and eat. The rest of the ride was clear blue skies and pleasantly cool. It was a really nice ride. We got to Okmulgee, OK around 4:00. 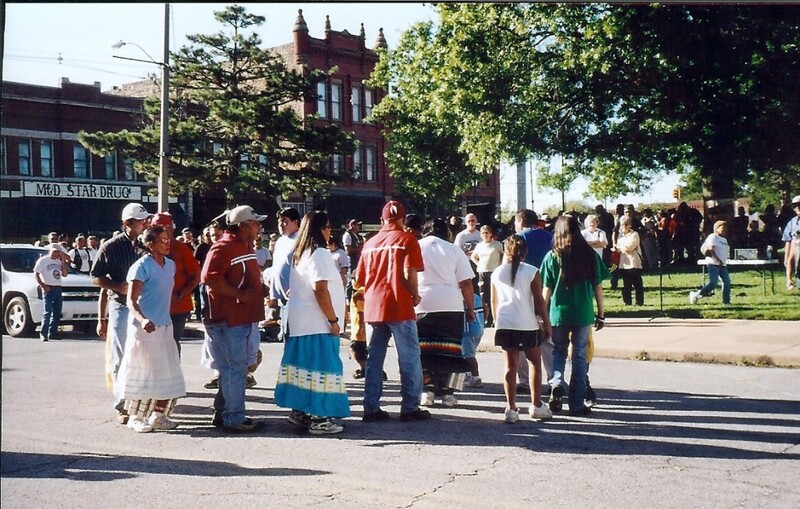 This year the ceremony was held on the town square of Okmulgee. Each year there is a ceremony commemorating the original “Trail of Tears” and the charity work done by the “Trail of Tears Commemorative Motorcycle Ride”. The ride raises funds from the proceeds of merchandise sales, donations and sponsors, and vendor fees. 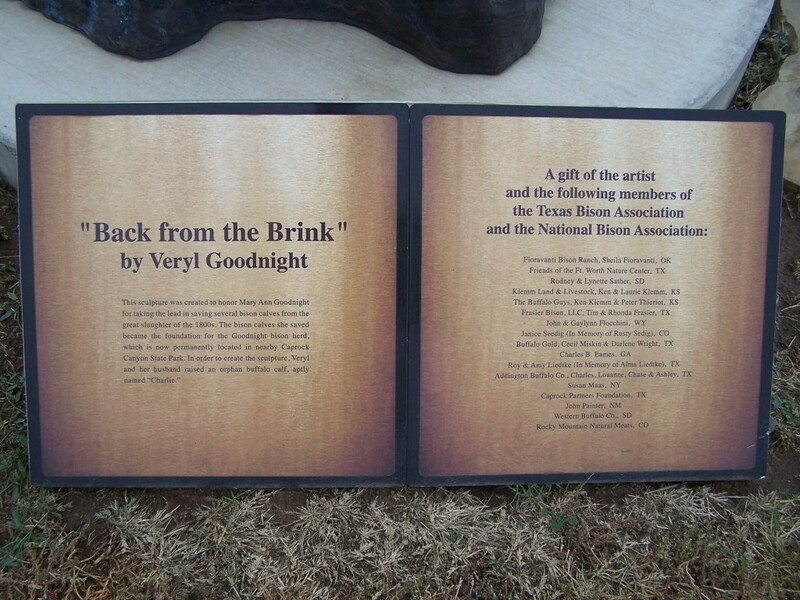 The funds are used mainly for Native American scholarships, donated to colleges and other organizations to further educate and bring awareness of the Trail of Tears history. 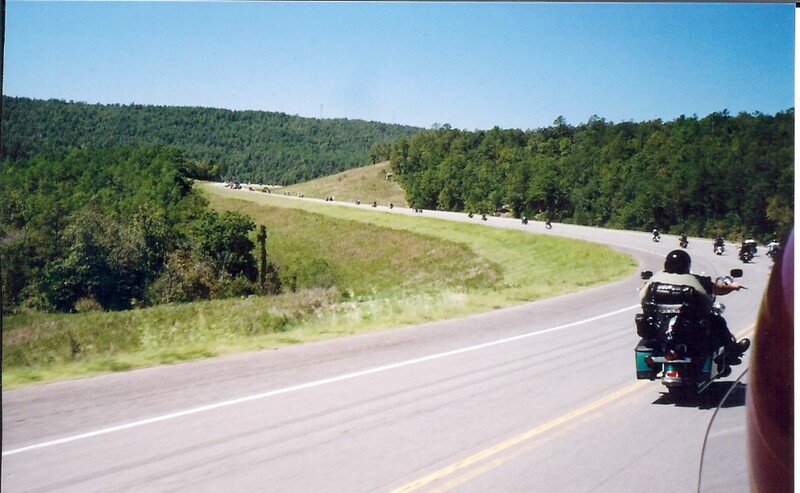 Over the years the “Trail of Tears Motorcycle Ride” has installed historical markers in the states through which it passes (Oklahoma, Georgia, Tennessee, Alabama, North Carolina, Mississippi, and Arkansas). After the ceremony we rode to the church camp (like last year) and had a “Creek Indian” meal. It was good but I liked the meal last year better. We were entertained by the Native Hymn Singers who sang native Christian hymns in various tribal languages. It was pretty cool and several of the singers gave their testimonies. Afterward we left the “Trail of Tears” and went on our separate way. We (our friends and us) rode to Henryetta, OK and spent the night. 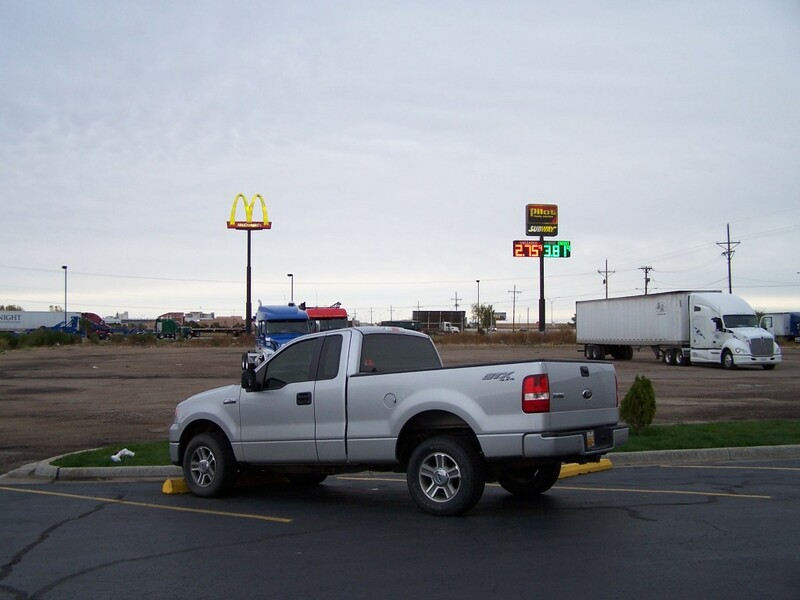 We had stayed there on a previous ride at a different motel. It was not the best and we found a scorpion in the room. There was another motel just down the road from there and we decided to give it a try since we ate breakfast at the restaurant the year before and liked the food and service. The motel was not the best there either. 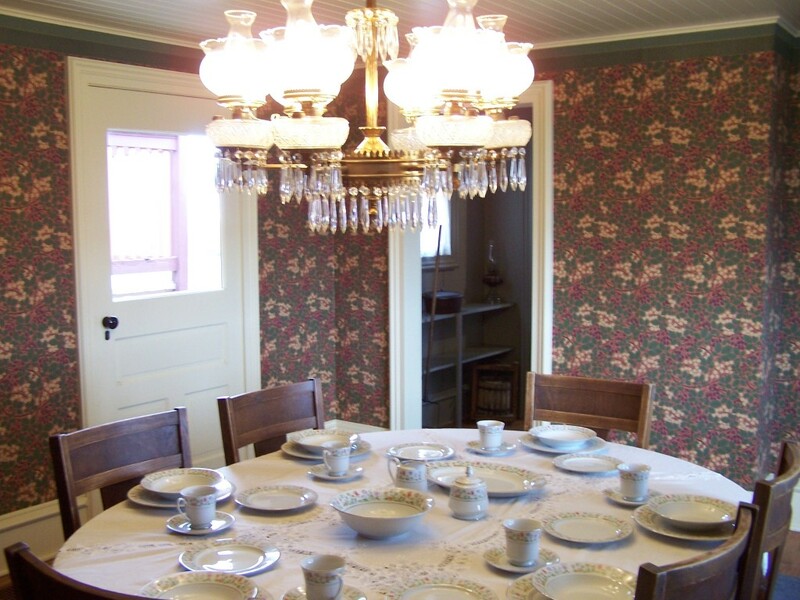 It looked as though it hadn’t been redecorated since the ‘50s. Shirley called Janet and said we needed to come checkout their room. The TV was sitting on an old console TV (Probably from the ‘50s). Well you had to have been there… We survived the night but we won’t stay there again. 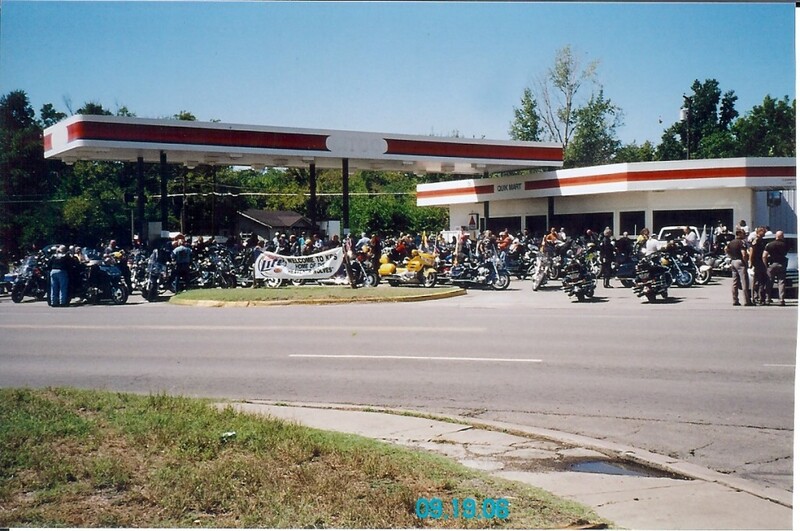 We left on Saturday the 16th and rode to Texarkana and spent the night. There was a lot of nice scenery all along the way. There are lots of rolling pasture and farm land with pine woods in east Texas. We didn’t get an early start and most of this route was two lane roads through many small towns with stop signs and stop lights, it’s slower traveling so it took us a while to get to Texarkana. The weather was good but the temperature got up to at least 99 degrees according to a temperature sign in one town… That meant that the surface temperature of the road was at least 120 degrees or more and we were ridding in it. We got a bit dehydrated and should have stopped more often and drank more water. In our younger days we could have handled it better but… That was then and not now! On Sunday we rode to Jessieville, Arkansas (20 miles north of Hot Springs) to visit Janet’s brother Roy and his wife Debbie. The ride was a short 149 miles down scenic Highway 7. We arrived early and were able to attend church with Roy and Debbie. We spent the afternoon with them catching up on all the family news. We always enjoy visiting Roy and Debbie. We need to get back more often but life gets in the way. 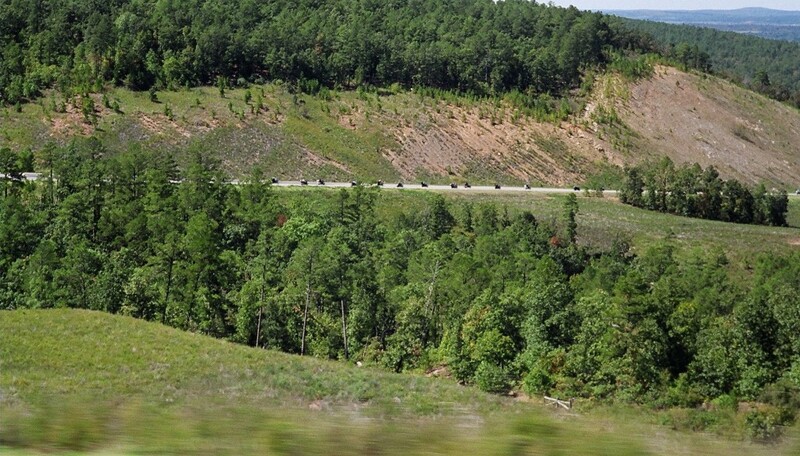 Around 3:00 we headed to Hot Springs to wait for the “Trail of Tears” motorcycle ride to arrive. 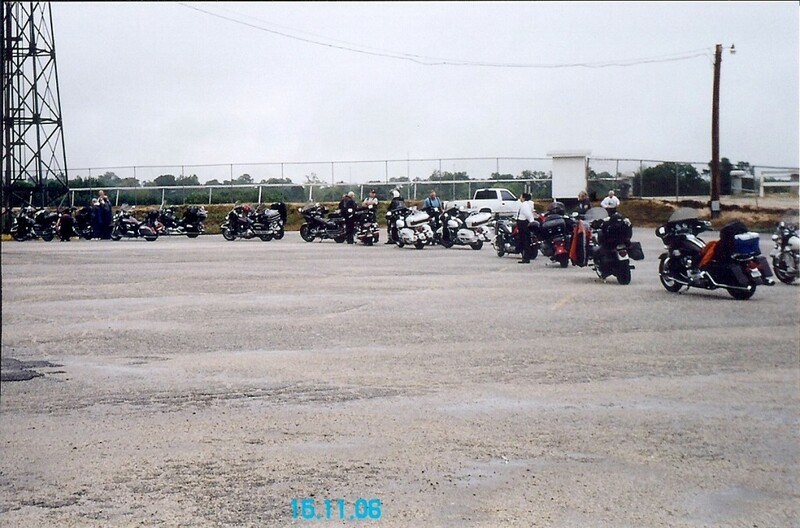 It looked like it could rain riding in, so we wanted to get checked into the motel before it rained. Once unloaded we checked the weather channel and found we could get thunder storms with large hail!!! I was afraid that my bike might get hit by hail so I moved it under a breeze way. We did get a heavy rain but no hail, thank goodness. We were afraid the Trail of Tears” riders would have a bad ride but they only hit a little heavy rain on the ride into Hot Springs. It was getting late and we were getting hungry so we walked down the street to a Pizza place for a bite to eat. Afterward we walked back to the motel to wait for our friends. They usually ride ahead of the ‘Trail of Tears” riders when they reach the last gas stop. When we got to the motel we found they had just arrived. My old Air Force buddy Larry C. did not make the ride this year. He hurt his back and was recovering. He wanted to come but everyone convinced him it would be best to skip this one. Larry was missed… if for no other reason than his crazy sense of humor. We got everyone unloaded and spent the rest of the evening talking about the ride, past and present and just having fun visiting. 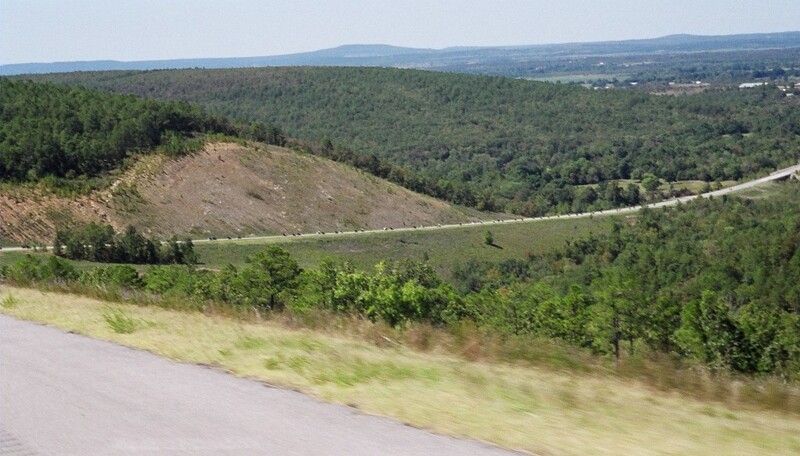 Tomorrow we joined the other riders on the last leg of the Trail of Tears motorcycle ride to Okmulgee, OK. Tomorrows ride is just 267 miles through scenic mountain roads in Arkansas and Oklahoma. 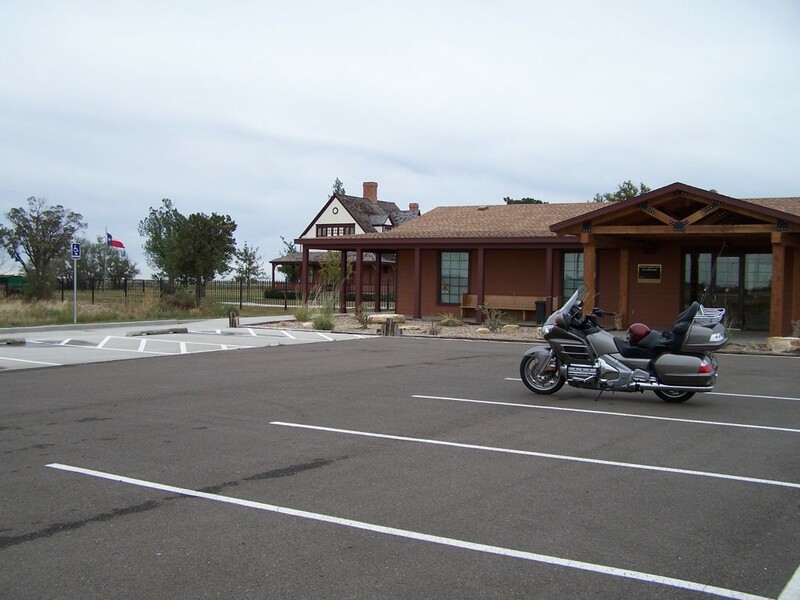 Come follow along as we ride Okmulgee and then we will ride on to the Palo Duro Canyon in Texas. By now you may be asking who is Colonel Goodnight. Colonel Goodnight is also known as Charlie Goodnight… Colonel Goodnight was a colorful and interesting fellow of the American West. Perhaps, he is the best known rancher in Texas. The Lonesome Dove novel and TV series is a fictionalized account of Colonel Goodnight and Oliver Loving’s third cattle drive. Lonesome Dove borrows from real events of the drive. Loving’s ambush by Indians and Goodnight’s care of Loving before Loving’s death from an arrow-induced infection and the returned of Loving for burial in Weatherford, Texas by Goodnight are real events. There are other accounts borrowed from Colonel Goodnight’s life but you can find more about him here. I left Georgetown under overcast skies with scattered showers in the area. The temperature was 60 degrees and made for nice riding. There was a cold front with a lot of rain headed my way. I was able to make Amarillo before it arrived. It did warm to the 70’s on the ride. I rode through several areas where I got a few sprinkles but not enough to stop and put on the rain gear. I’ve been this way many times in the car and on the bike so there was no new scenery to see. 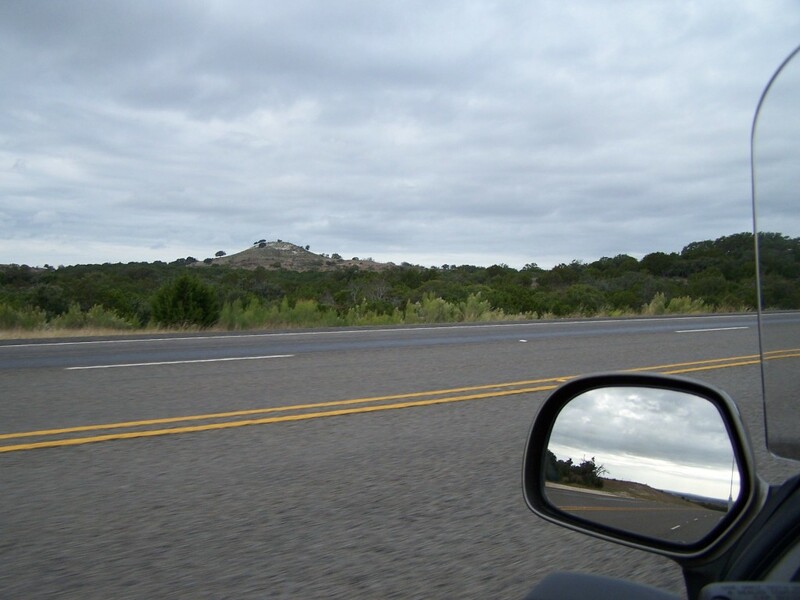 Although I’ve been this way many times, I continue to enjoy riding this part of the great state of Texas. All in all I made good time and it was a good ride. It rained heavily during the night and the temperature was 38 degrees when I left the motel. I was on the road at 8:30 since the Colonel Goodnight home didn’t open until 9:00. The road was still wet from the rain earlier. The rain was in front of me moving southeast so it would be awhile before I would catch up with the rain. I had planned on stopping in Claude, Texas at the Armstrong County Museum. 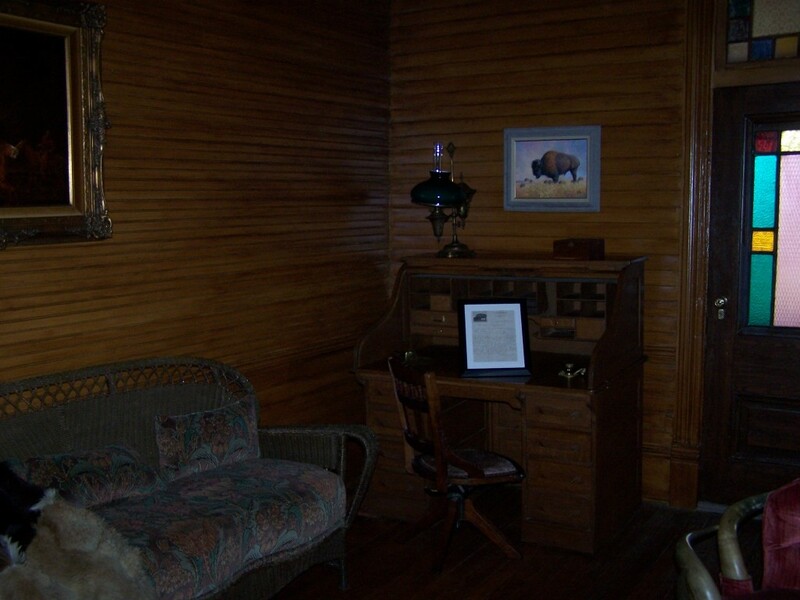 The museum has information and documents from Colonel Goodnight’s ranch. Armstrong County Museum didn’t open until 12:00 so I rode on to Goodnight to tour Colonel Goodnight’s home and the Charles Goodnight Historical Center. I arrived at the Charles Goodnight Historical Center just after 9:00. I was greeted by the two staff members who filled me in on some of the history and the restoration of the home. Before touring the Goodnight home I spent some time looking at the exhibits and viewing 2 short videos about Colonel Goodnight and the ranch. Several years ago we stopped by before the home was restored. We could see there was much to be done. I was amazed at all the work that had been done. It was obvious they did a good job restoring the home just from viewing the outside. My tour guide was very knowledgeable of the home and Colonel Goodnight’s history. Since I was the only person on the tour, I was able to take my time and ask many questions about the home and Colonel Goodnight. Charles Goodnight invented the chuckwagon . 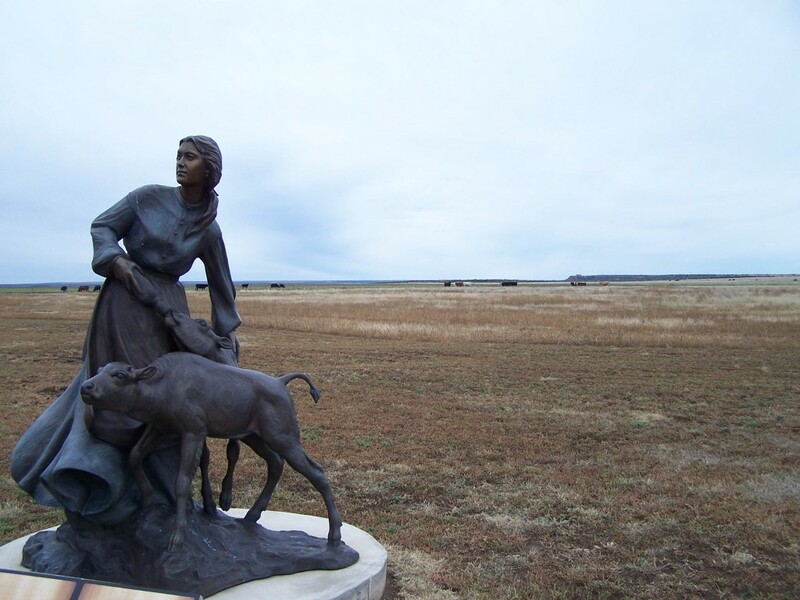 Charles Goodnight was the first to raise buffalo and cross bread them with cattle. 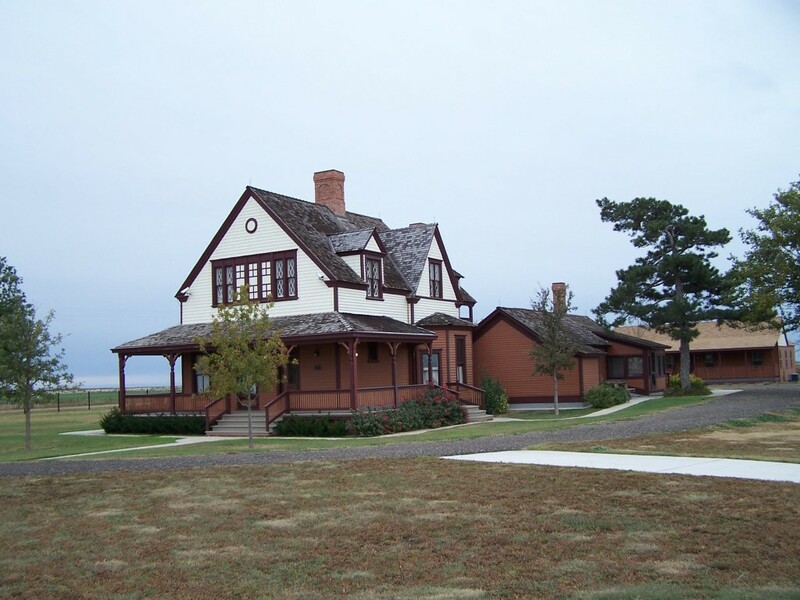 The Charles Goodnight Historical Center didn’t have any of the ranch’s documents. Since there weren’t any documents, I wasn’t able to do any of the family research I had come to do. To do the research I would need to ride back to Claude to the Armstrong County Museum. I really wanted to do that but the weather was getting worse. I needed to be home tomorrow and I wasn’t sure if the weather would cooperate. I decided to play it safe and head back home and get as far as I could today. It wasn’t raining when I got back on the road. After I left Childress, Texas, it started to rain lightly and I had to put on the rain gear about 50 miles from Abilene. I had thought about staying the night in Abilene but the rain wasn’t too bad so I rode on hoping to get in as many miles in as I could. Just outside Abilene I missed the exit for my planned gas stop so I decided to ride on. As it turned out it was a big mistake. Gas was getting low and I wasn’t finding any gas stations down the road. I was worried I would not find any. I could have a long, cold, wet walk for gas. When I finally did stop, I had 0.2 of a gallon left in the tank. That was a very close call. If I miss an exit for gas, I will turn around and go back next time. That was just too close. While I wasn’t able to get much information on Janet’s family I did learn more about Colonel Goodnight, the ranch and the many contributions he made to ranching in Texas. He and his wife were amazing people. I will be coming back with Janet to do more research. If you are ever out that way it is worth a stop to visit Colonel Goodnight’s home.